It’s 2am, and I can’t sleep. A thought has occurred to me, and won’t go away until I work it out. Decision is at the centre of every good story. It’s the turning point, the climax, the thing that every story builds up to. It’s also at the centre of the gospel, particularly in John. Jesus presents us all with a decision: to follow and believe, or not. Decision is so central to the Christian life that it’s the name of Billy Graham’s magazine. The gravity of our decision regarding Christ is enormous; this decision changes a person’s entire life in ways that most decisions do not. It’s a truly defining moment. 1. The decision that resolves the conflict at the climax of a good story usually involves action. Even if the result of the decision is something as vague as inner peace, which is usually also a result of making a decision to follow Christ, a good story develops the conflict in such a way that there is an action that leads to, or occurs as a result of, this decision. Making a decision for Christ, for most Christians, doesn’t involve (or sadly, even inspire) much action: it takes place largely in our heads, at the prompting of a preacher, usually after being raised in the church (and in such cases doesn’t usually even resolve a notable conflict). More dramatic conversion stories often involve some action, but the decision itself is inward and personal, and as such doesn’t usually involve others in a way that makes for a good film or novel. It’s only when the decision translates into action in the world that the audience can relate to that it becomes important to the audience. 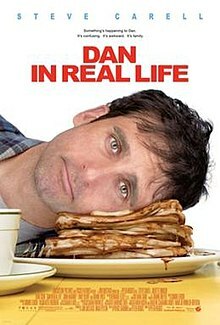 Take Dan in Real Life as an example: Dan spends much of the film struggling as a single father who’s falling in love with his little brother’s girlfriend. His issues are largely personal and his decisions eventually lead to inner peace, much like a conversion story most Christians could relate to. But his decisions and the actions that spring from them have a huge impact on his entire family: does he make a move on this unexpected romance in the middle of his extended family’s vacation together? Does he betray his brother for the chance to move on in life, years after his wife’s passing? Does he introduce a new woman into the lives of his three daughters? Now, if Dan had found the inner peace that he needed by picking up a Bible or going to church, it wouldn’t necessarily have affected anyone else at all. It’s a pretty boring action, even if its significance is enormous. For all of the other parties involved, nothing else would change – at least, not tangibly, at least at first. In our individualistic culture, Dan would probably go to church on his own, the rest of his family would either respect his religion or wouldn’t but probably wouldn’t say a lot either way, and a Christian audience would cheer for a slow and gradual influence toward Christianity on the part of Dan’s family, whose conversions would probably be much the same as his. Now, if the film had been set in communist China, or Saudi Arabia, making a decision for Christ would have immediate and tangible consequences for the entire family much as Dan’s romantic choices do in our quiet American setting. But for the most part, the decision that Christ puts before us doesn’t tend to result in much action or outward change. 2. The decision has to be one that the audience wants the characters to make. Lately I’ve been re-watching Chuck, a series about a nerdy nobody who fixes computers for a retail chain and somehow gets all of the American government’s secrets locked in his subconscious and is forced to become a spy. 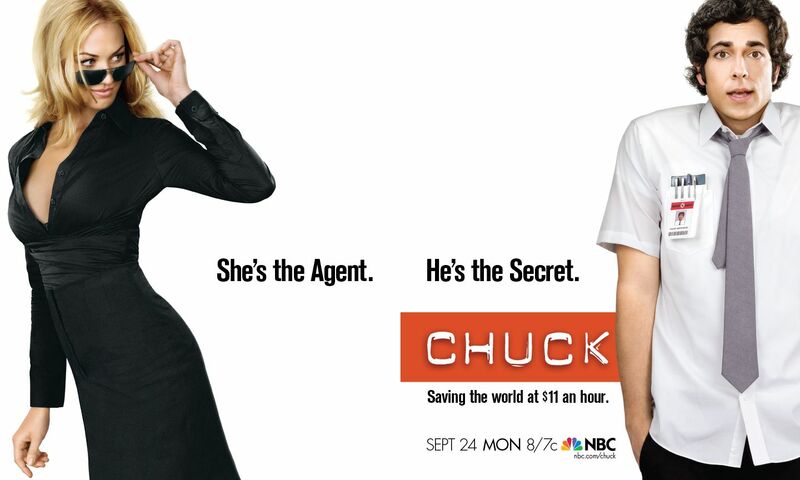 Hijinks ensue, but the real story unfolding throughout the series is Chuck’s relationship with his CIA handler, Sarah, whom he’s obviously in love with from the first episode. She’s way out of his league, and her cover is as his girlfriend, so from the beginning he feels like this is too good to be true as every nerd’s fantasy plays out in his life. He’s such a good guy, and so obviously in love, that you’re always rooting for him. Sarah, meanwhile, not only remains out of his league with her combo of highly skilled and gorgeous, but also strives to remain completely professional even though you can tell that he’s starting to win her over. There’s a sublime moment in season 1 when, faced with what they think is a bomb about to go off which would kill them both, Sarah kisses Chuck. Steamy, right? But that’s not actually a bomb. Whoops. It’s a tense moment, but her decision to kiss him resolves the relational tension that was driving the entire show up to that point, and the audience can’t help but cheer because it’s the moment we’ve been waiting for all season. The rest of the show’s five seasons is about replicating that moment, giving Chuck and Sarah reasons to choose each other above all odds. We want them to make that decision, over and over again, whether or not it’s professional, even if it puts them both in danger. The Lord of the Rings is an easy example of this, because the choices in it are clear from the outset, but they require the characters to develop virtues such as courage, self-sacrifice, and endurance. Will the riders of Rohan aid Gondor in the battle? Will the elves and dwarves aid the humans? Will Denethor fulfill his duty as Steward of Gondor and lead the war effort? 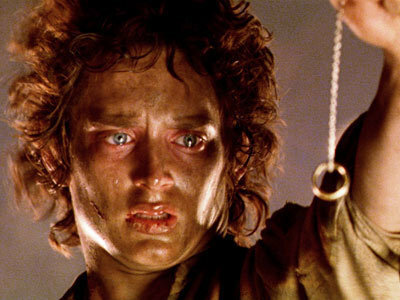 Will Sam remain faithful to Frodo and carry the One Ring to Mount Doom if Frodo falls? Will Frodo destroy the ring? The audience knows what answer we want for all of these questions (a resounding YES! ), and because of this we’re invested in what ends up occurring. Not all of these characters did the right thing; Denethor and Frodo both failed, and the elves and dwarves made token gestures. At issue is not whether or not the decisions characters make are predictable (but it really helps if they aren’t always predictable), but whether or not the audience is confronted by the same choice that the characters are confronted with, and has an answer ready. Any religious decision changes this element of audience engagement. Religious choices in a pluralistic society are individual and controversial, so they don’t invite the audience to unanimously say “YES!” when Sarah’s reserve finally cracks and she kisses Chuck, or feel a collective sense of disappointment and sadness when Denethor loses his mind and sets himself on fire rather than defending his city, or marvel at the steadfast faithfulness of Sam when he says “I may not be able to carry the ring, Mr. Frodo, but I CAN CARRY YOU!” (and the music swells, and all of our eyes moisten). The question of whether or not to follow Christ doesn’t involve group participation in the same way. Dietrich Bonhoeffer reminds us (in Discipleship) that Christ approaches all of us as individuals. The Gospels, and our experience, make it clear that not everyone makes the same decision when it comes to Jesus. For most of the audience, the choice to follow Christ is not seen as self-evident, or even a good choice; some would say that it’s a terrible choice, and others are completely ambivalent about it. Our culture’s individualism is perhaps the deepest when it comes to religion, and the notion that one person is becoming a Christian doesn’t even suggest to most people that it might be something they should also consider. It’s simply not a shared question anymore, so it will only really resonate with a Christian audience. 3. It has to be a genuine decision. Getting back to the issue of predictability, there’s a difference between the audience being able to predict the decision and the decision being predestined by the writers. This is a comment more on the way that Christian storytellers approach their craft than about anything inherent to making a decision for Christ (unless you’re a Calvinist, I suppose). We all love happy endings, and there’s usually a sense early on in a story about whether it’ll be a traditional happy ending or a more tragic or ambiguous one, so the ending is usually pretty predictable. I’ve heard of studies in the past few years that show that people report enjoying a story more when they already know the ending, so predictability obviously isn’t always a bad thing. I knew that the One Ring would be destroyed by the end of The Lord of the Rings, and that didn’t take away from the incredible tension I felt when Frodo stood on Mount Doom and tried to overcome the ring’s seductive power. Sauron ruling the world would’ve been a lousy ending, and I knew it wouldn’t happen, but the decision Frodo had to make was still open. Ultimately, the ring defeated his resistance and goodness; the moment of decision didn’t go the way we wanted it to, even if the predicted ending still came about. Similarly, I know that Chuck loves Sarah, and I know that eventually she’ll realize how much she loves him too, and even that eventually they’ll be together; but in every single episode, there’s something there that holds them back, and one or the other of them is always faced with the decision, and those decisions aren’t predestined by our expectations. Sometimes Sarah chooses to be professional, sometimes Chuck gets tired of chasing her and spends a few episodes chasing someone else instead, and most of the time there are other forces at work keeping them apart. In Christian fiction and film, the plot usually centres around a decision for Christ in some form. It can be done well, but often there’s not only a sense of predictability to it, but there’s also a sense of predestination. Not only is it clear what the outcome will be, but also which way certain people will choose is clear from very early on. In romance or heroic action, this is fairly acceptable even though it’s less realistic. But given the individual way in which Christ confronts us, as well as the travesty of our seemingly constant practice of keeping tabs on who’s “in” and who’s “out” in the Kingdom of Heaven (as if we could even know), this kind of stereotyping when it comes to people’s decisions in response to Christ is not only unrealistic, it’s inappropriate. And worse, there is often a sense in such stories that this conversion or rejection has a particular purpose. Aside from whether or not our decisions for Christ really are predestined (I don’t think that’s a good reading of the Gospels at all), it makes for a bad story. A predestined decision isn’t much of a decision at all, because it actually removes the conflict that the decision is supposed to resolve. There needs to be some sense of uncertainty in a situation in order for it to feel meaningful to the audience. Sure, there’s a place for predestination, destiny, or fate in stories – it’s one of the oldest plot lines in literature; but that plot line exists because it questions the whole concept, not as a shallow affirmation of it. I knew that, somehow, Dan was going to find peace by the end of Dan in Real Life, whether he chose faithfulness to his family or the new romance that could turn them upside down. I couldn’t predict which one he would choose: faithfulness to his family was the right choice, but romance was the one we all wanted him to make, and they seemed to be mutually exclusive. For some conversion stories, Jesus takes the part of the romance option here; Jesus makes it pretty clear that if someone wants him, they’ll have to be willing to choose him over their family (if it comes to that). I felt good about Dan when he chose his family and responsibilities, but I felt even better when doing so somehow opened up the option of getting the girl too. The writers, in this case, put Dan in a situation where the decision wasn’t clear at all, even to the audience. This gives the decision a deep sense of genuineness and reality. It is, after all, called Dan in Real Life.